I've recently moved, though these are still coming regards my last home. How much in the letter can they do and how much is ballshit..? The previous letter mentioned 90 day prison blar blar blar..! What rights do i have with this as I was in receipt of housing benefit, so council tax benefit should of also been paid..! my lifes been pretty hectic, so haven't been as one it as I ususally am..! if you have a vehicle you own on the drive then i would suggest moving it. 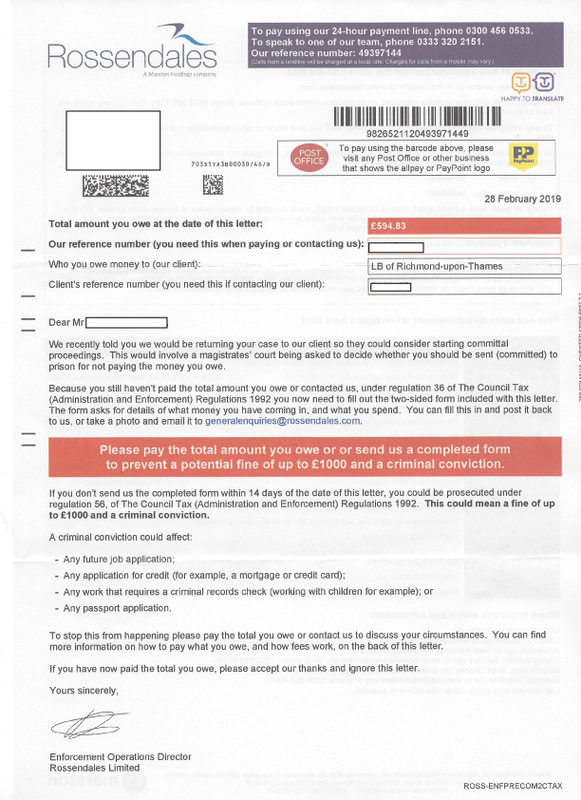 If you were in receipt of benefits then yes council tax benefit should have been applied, personally i would find out, if you dont already know, how the sums claimed have become due and what sum the council told the magistrates court were due and outstanding. Check with the DWP as well and get your facts together for the period for which they are claiming. that would be my initial move.